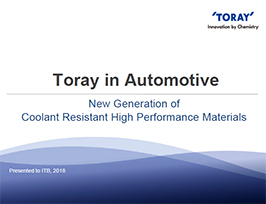 TORELINA™ A604CX1B by Toray is a polyphenylene sulfide (PPS) grade reinforced with 40% glass fiber. It offers flame retardancy, excellent electrical properties, excellent dimensional stability, high mechanical strength, toughness and moldability. 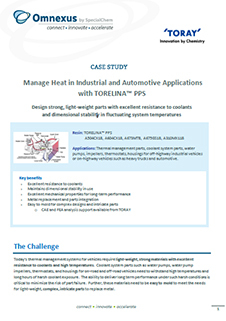 TORELINA™ A604CX1B is recommended for processing by injection molding. It is suitable for automotive applications. It imparts resistance to chemicals, heat, hot water and long life coolant (LLC).